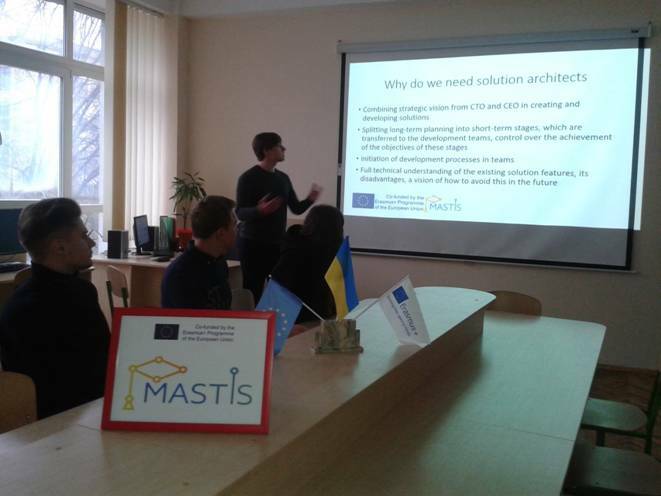 22/10/2018 The National Erasmus + Office (NEO) in Ukraine conducted the Monitoring of the MASTIS Project in accordance with the monitoring plan agreed between the Education, Audiovisual and Culture Executive Agency, National Erasmus + Office in Ukraine and the Erasmus + СВНЕ Project Implementers. Advisory monitoring is focused on the study of partnership work, planning and implementation of planned activities, priorities, methodology, performance of tasks and achievement of project results. Monitoring draw the special attention to understanding the long-term impact and sustainability of the project by the partnership from the beginning of the project implementation. 22.10.2018. Project coordinators reported about goals, objectives, and measures to achieve the goals during the three years of project implementation. 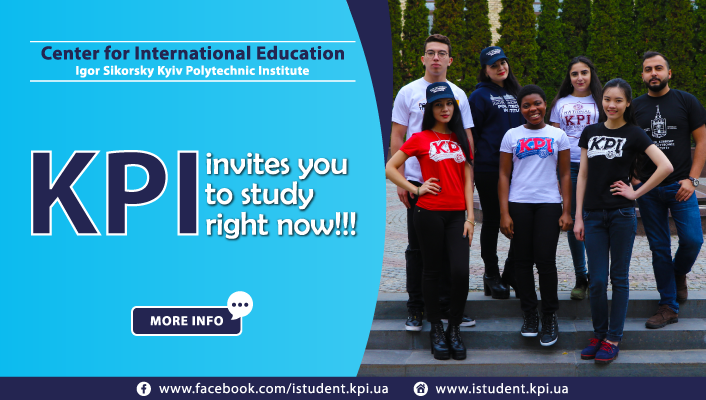 They presented the overall results of the project, which are successfully implemented in the partner university. The NEO experts submitted documents confirming the quality and consistency of the project results. 22.10.2018. 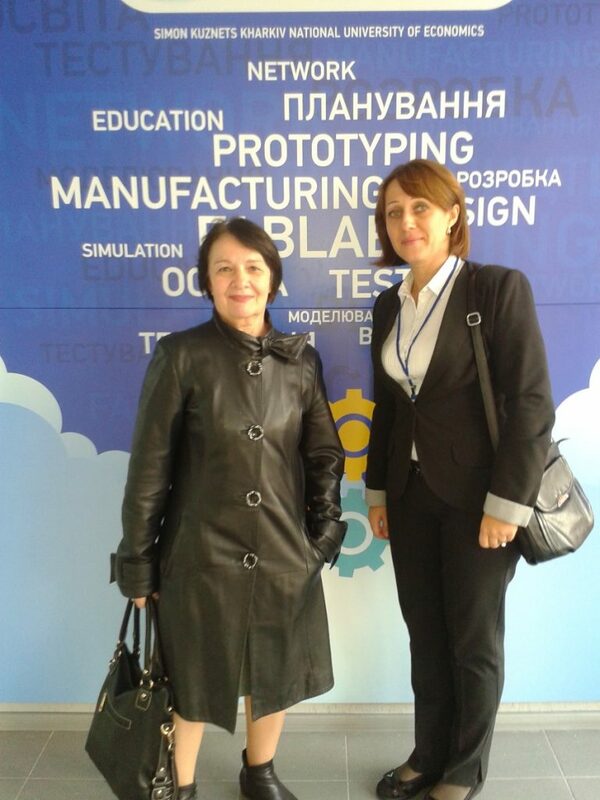 Zhanna Talanova, NEO expert and Irina Zolotaryova, project coordinator from Ukraine, commented on the results of the project implementation at the Igor Sikorsky KPI, demonstrated in the presentation by Kovalyuk T. Approved actions on creation of the information systems laboratory., analysis of the stakeholders requirements for masters in information systems, interaction with IT companies, development of training materials on the course “IS Development and Deployment”, developed by KPI. 22.10.2018. Project Coordinator Jean-Hugues.Chauchat (France) commented on the report submitted to Kovaliuk T. about the status of the project implementation at the KPI. Critical comments were given about the curriculum at the university, and it was recommended to expand collaboration with IT companies to improve the curriculum. 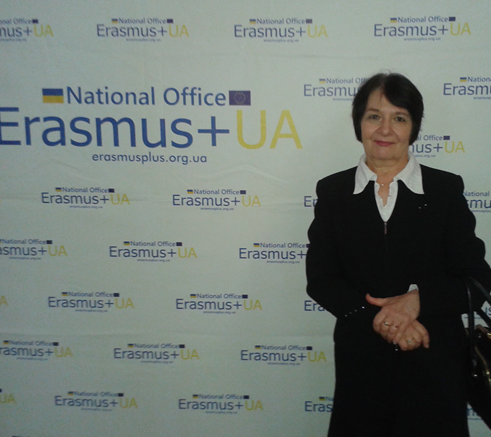 The expert of the National Erasmus + Office in Ukraine, Zhanna Talanova, quotes normative documents on the development of higher education in Ukraine in the context of the European dimension. 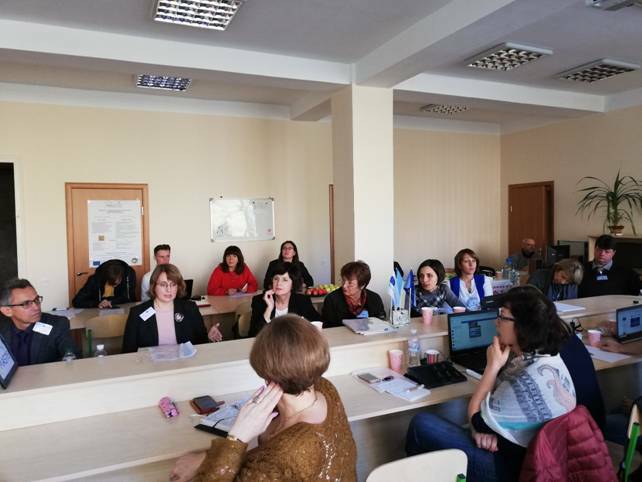 The photo shows project coordinator Jean-Yuga Shosha, representatives of partner universities of Ukraine, NEO expert Zhanna Talanova and speaker Kovaliuk Tetiana. 22.10.2018. 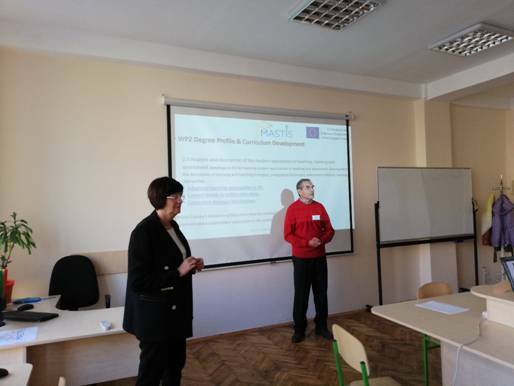 The advisory monitoring team gathered representatives of the Ukrainian partner universities of the project. All teams submitted reports on the implementation of the MASTIS and piloting courses. 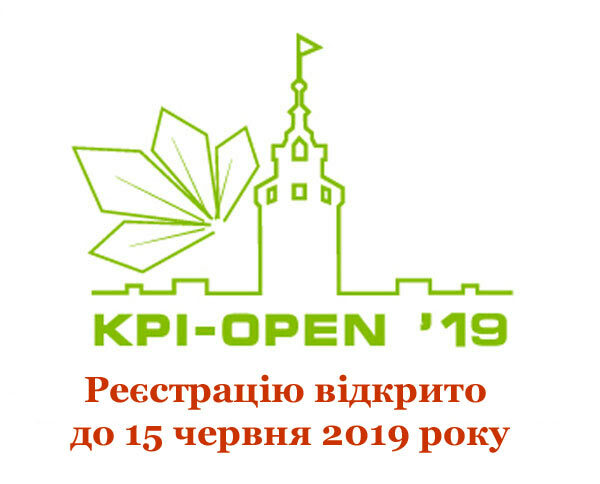 The photos show the representatives of teams from Lviv Polytechnic, Vinnytsia National Technical University, Kherson State University, Kharkiv National Technical University KHPI, which present their reports. 22.10.2018. Monitoring Participants use short-term rest between discussion to communicate with project coordinators to discuss higher education development and experience exchange. Project Coordinator Jean-Hugues.Chauchat (France) and member of the Igor Sikorsky KPI them. 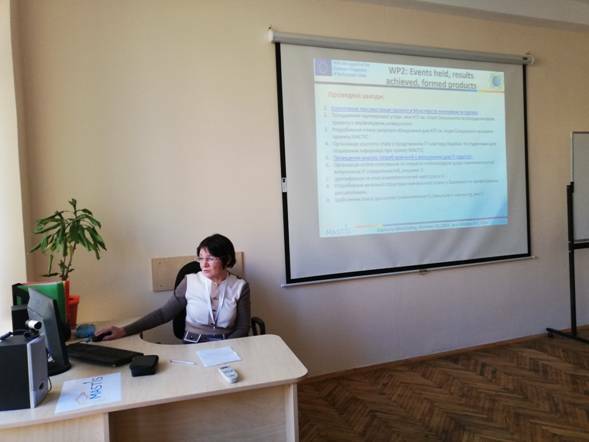 Tamara Tielysheva – specialists in the field of statistic information processing discuss about using those in science and education. 23.10.2018. 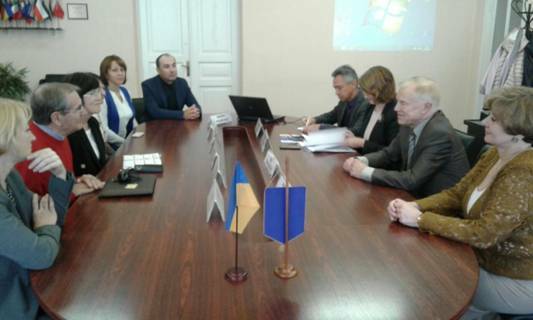 Kharkiv National University of Economics held a meeting of the MASTIS project teams. 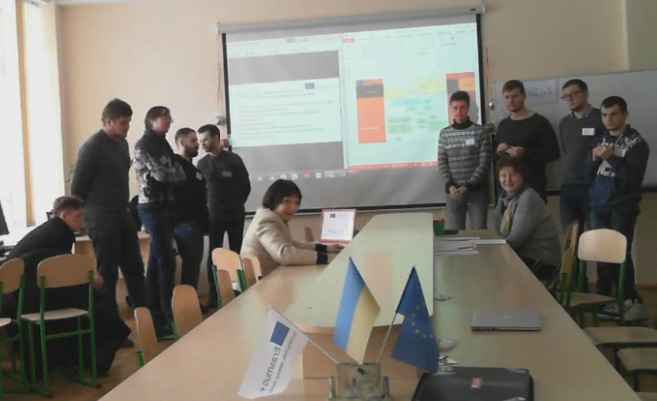 Participants of the meeting took part in trainings, excursions at the university laboratories, equipped with Erasmus + programs, meetings of the examination committee for the defence of master’s degrees. October, 2018. The content of the course “Enterprise Architecture Management” provides the definition of competencies of IT professionals in the field of architects, in particular software architects, IS architects, solution architects and enterprise architects. Student Osipenko O., an master study level, speaks on “Architectural IT professions in the world and in Ukraine”. The report of the student identified the mission of professions, the main tasks of the company, the companies having vacancies of architects and the role of enterprise architects in their strategic development. November, 2018. The syllabus of course “Enterprise Architecture Management” involves learning the ArchiMate language by using the Archi 3.3.2 software. 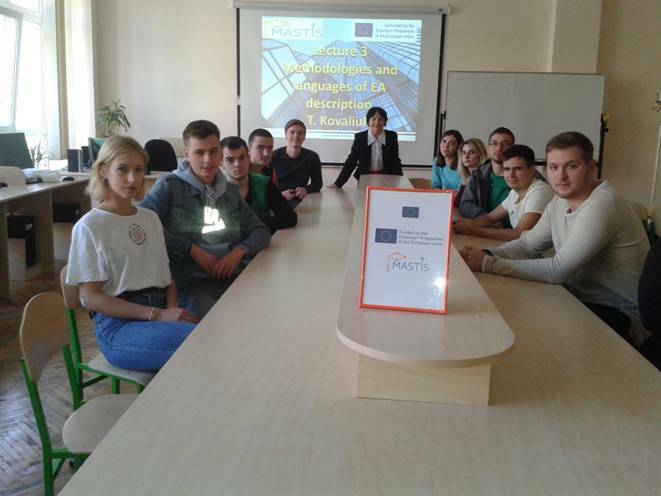 Training of students are held in the laboratory of information systems, equipped with equipment purchased at the cost of the European Union within the framework of the Erasmus + program. Students of the master’s study level Anishchenko K. and Skoryk V. develop a description of the technological level of the Enterprise Architecture in accordance with the business case are shown in the photo. December 2018. Associate professor Kovaliuk T.V., who reads the course “Enterprise Architecture Management”, uses various methods for activating students’ motivation. One of these methods used in the educational process is the hackathon. Students are distributed by teams. The instructor offers a theme for developing issues related to enterprise architecture. There is a competition between teams of students for a better decision on the enterprise architecture. The moment of debate between teams is on the photo. 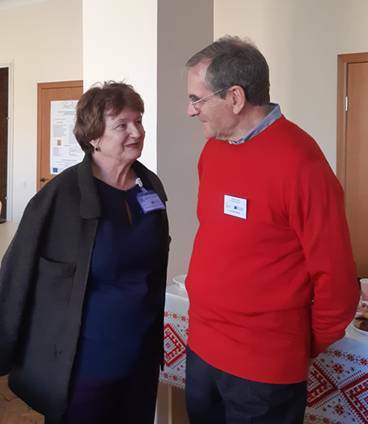 As a jury – associate professors Kovaliuk T. and Telisheva T.